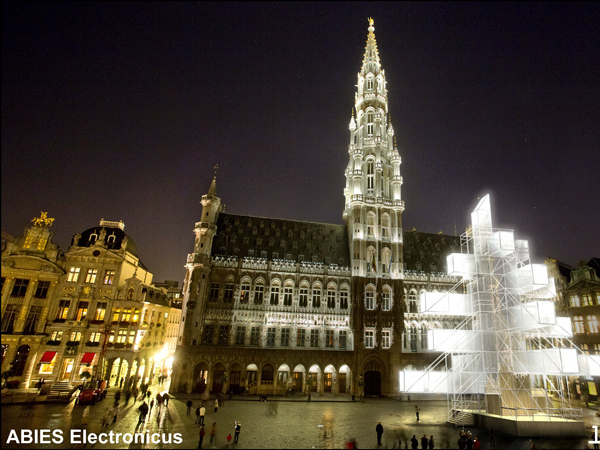 Challenged by the city of Bruxelles to rethink the traditional Christmas tree that decorates its Grand Place every year, 1024 Architecture have designed a contemporary electronic tree (or Abies Electronicus in Latin), made of a metallic structure covered in a white cloth. 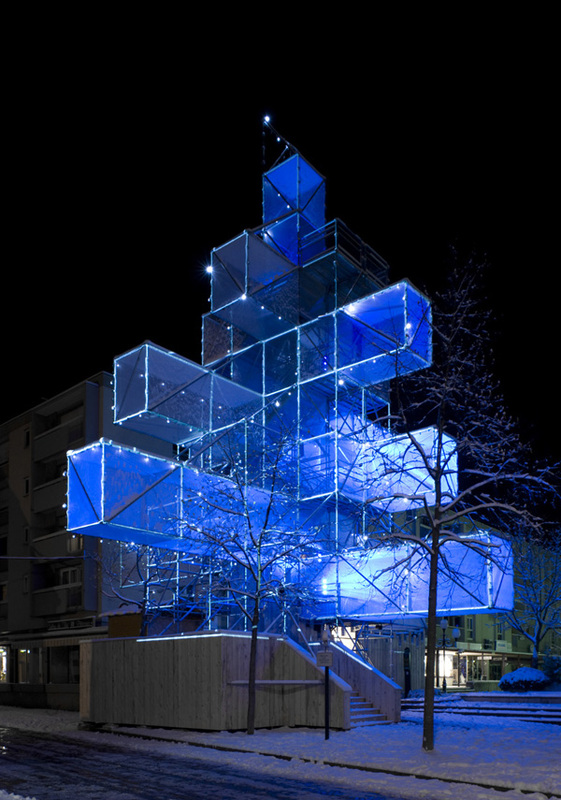 By day the tree is a 19 metre-high belvedere that the public can climb up to in order to admire the panoramic view of the city; by night it is a musical and visual installation. Each branch is lit by LED projections and twinkles with different colors. The show lasts for 10 minute at the beginning of each hour. Homebuildlife subscribers can see our new report on alternative Christmas trees here.